Please welcome my friend Carol (another member of the TOS review crew) to my blog today. She's a rather neat lady with a good heart and she has delightedly joined me on my blog today for the start of I hope a cool series of people walking you through a day in their life as a person educating their children at home. My dear friend Annette asked me to share about a day in our home educating life. What is a typical day like for us? Are there non-negotiables, what methods do we use? Well, there are actually NO typical days in our educational life anymore, but there are some routines that happen frequently. First, I'll share a little about our routines, then I'll tell you about today, why it was unique, and why I don't stress out about having a typical/ normal day anymore. Our girls are 15 & 17. They have always been educated at home . . . and on the road, in a car, on a bicycle, at a field trip, rarely at a desk ~ get my point? We have followed a Charlotte Mason style of education as our main focus for their growing up years. If I had to be specific, I would say we are Eclectic in our style with a Charlotte Mason bent. Our girls learned to narrate at young age, we used living books, and we stuck with short lessons and lots of nature study in the Elementary years. As they grew up, the lessons got a little longer, we still chose living books whenever we could, and nature study morphed into an even bigger part of their lessons. 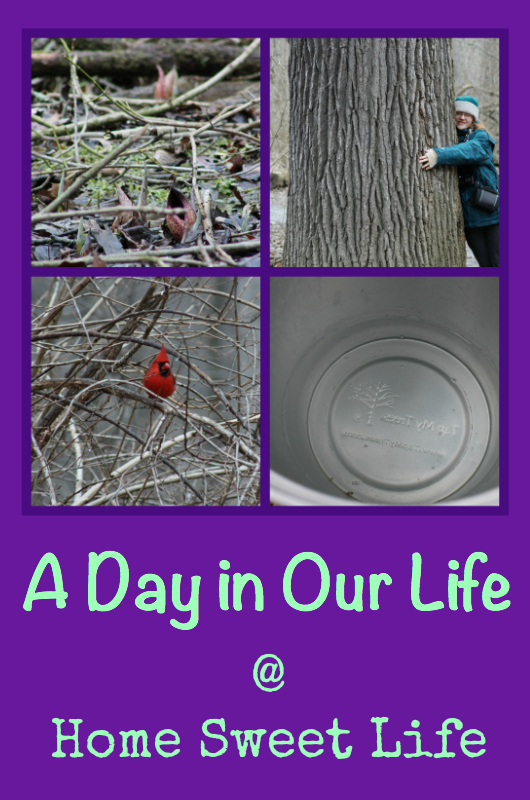 Life became one big series of Field Trips! What are/ were our non-negotiables? Learning to read, doing math, studying something for history each year, reading your Bible, and finding something interesting to learn about for Science. Until the oldest reached Middle School, the only curriculum we used were an old set of math books my Mom had from the 1960's, and the God's Design science series from Answers in Genesis. We used our library ~ a LOT! When the girls were little, we would go to the library every single week. In fact, if we missed a week, the librarians would ask the girls what they had been up to that it kept them away. It was not uncommon for us to get several books a year through Inter-Library loan. We frequently had 20-30 books checked out from our local library. We watched educational DVD's and played games. I truly think it is more important to be tying heart-strings with your young children than doing a grammar lesson every day. We simply followed the rule of 'do what comes next' in your math book each day we were at home. Seriously, we went on a lot of field trips. Lunch in the park, visiting the history or art museum, visiting elderly relatives. I also worked outside of the home. Sometimes people forget that not everyone's life is like theirs. It was often difficult for other homeschooling Moms to understand that I was working because we needed the money to pay bills, not because I wasn't satisfied being at home. I love my home. I love my children. Kurt and I have made a lot of sacrifices over the years so that our girls could have the opportunity to be educated at home, including a lot of years where one of us worked days and the other worked nights. The weekends were non-negotiable times because that was the only time we had together as a family. It hasn't always been easy, but it has ALWAYS been worth it! Now that the girls are older, we still follow a practice I set up when they were entering the Middle School years. Several times each school year, I sit down and evaluate how far they are in their assigned curriculum for each subject. I figure out how much they need to be doing each day that we are home (on average 4 days/ week,) and set up a general schedule. 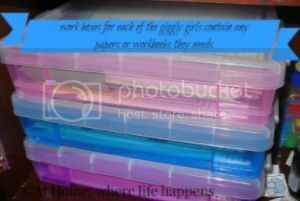 Then the girls' schedules go through the laminator. That way they can mark off assignments each day with a dry erase marker. It keeps them accountable for finishing their assignments, and allows me the freedom to not have to write things out each day. Each day, wipe off the assignment sheet and begin again. Some of you may be wondering, what about snags? Oh yes, they happen. Sometime a girl gets stuck on a math concept and needs extra help, or they're missing an ingredient for their science experiment. When that happens, they've learned to work ahead on tomorrow's assignment in a different subject, and make sure to tell me that day what they need, or need help with. Both girls have been mostly independent learners for quite a few years. It took a few years of stop-and-go trials to find their grooves, but it works so well now that I can't imagine going back to me teaching them everything. I am mostly just the facilitator and coach now, a good place to be. So . . . why was today unique in our train of non-typical days? Today we really did not try to "do school" except for math. It was a planned "not the list" day. Today started later than usual, since the girls stayed up to watch all of the SuperBowl with Kurt. Our morning began with the funeral of a dear lady from our church. After coming home for a snack, we changed to our outdoor clothes and went to the local State Park for a hike and some photography. Our friend Kevin, a local botanist, had told us that the skunk cabbage was blooming. Since this typically only lasts about a week ~ and happens so early in February, we wanted to take advantage of the weather being above freezing to see if we could spot the blooms ourselves. The blooms are quite unusual, they almost resemble a dark red tulip leaf with spots growing out of marshy wetlands. Look at the top left picture above to see them. After getting our photographs of the blossoms, we continued our hike along the river, and as I was backing away from one of our favorite oak trees so I could fit the trunk girth into my photo, Arlene commented "It's too bad you can't tap oak trees for sap like you do maples... think how much syrup that would make!" She volunteered to hug the tree so you could get an idea of its size. Arlene is 5'9" tall with long arms, and the massive tree trunk still dwarfs her! By this time, the slightly-above freezing temperature was feeling quite chilly, so Emily suggested we finish our hike with a trip to the Nature Center and warm up in the bird-viewing room. This gave Arlene and I both ample opportunity to photograph the cardinals, finches, and woodpeckers that were at the feeders. When we got home, Arlene and I collected the sap from our maple tree taps and put it in the refrigerator to store until later in the week when we should have enough to start boiling it down. Next came lunch. It was a typical fend-for-yourself type of day. During the years that Kurt worked days and I worked nights, the girls learned how to make their own lunches. We've expanded their skills to where they now usually make our dinners as well. After lunch came chores (dishes and laundry,) and then math. Both girls are working their way through Geometry this year, and since we're currently reviewing the Digital Pack for Math-U-See's Geometry course, Arlene pulled up her lesson video on the iPad. Having High Schoolers can either be really stressful, or really wonderful. We choose to make it wonderful! I know our day would not fit most people's idea of a school day, and I'm ok with that. Our girls are learning what God really wants them to learn ~ compassion for others, care and stewardship for His creation, homemaking skills . . .even a little math. Mostly, they're learning that their parents love them, that Jesus loves them and cares for them, and that being themselves is always enough. I hope this peek into our day has helped you realize that a quality education does not need to look like school, or even like anyone else's day to be a good day. Life is Field Trip ~ Go live it! Carol is a wife of more than 20 years, Mama to two teenaged daughters, and avid gardener. She blogs at Home Sweet Life where her family shares its unique experience-based educational life, Road Trip ideas, book reviews, and encouragement for healthy families. You can often find Carol outdoors with her family, and her camera. One of their favorite family pastimes includes long hikes in the woods and she photographs the wildlife they see. Is art a subject you find challenging to teach in your homeschool? I have to admit, art is something I love teaching today. But when we first began homeschooling, 9 years ago, I found it quite difficult. After all, my college background included exactly two art classes. And I never really thought of myself as an artist. However, my husband and I were blessed with a very creative child. And I found that the more opportunities I provided for him in art and music, the more he wanted! And I discovered that there is a plethora of resources available to the homeschool parent who’d like to include art lessons. I’d like to share four of my favorite resources with you. Each of these books can equip you to teach incredible art and art history lessons---and enable you to have a wonderful time when you do it! Art is Fundamental is subtitled “Teaching the Elements and Principles of Art in Elementary School.” However, I’d venture to say that this book can easily be used in the middle and high school grades as well. It is actually a complete 3-year curriculum of art. The first two years include lessons on color, value, texture, shape, line and form. The third year’s lessons review color and value, then teach balance, contrast, movement and rhythm. Each lesson introduces a concept, then provides a project for the student which illustrates the concept. This is a very thorough book which enables the teacher, even if she’s inexperienced in art, to teach a thorough art vocabulary and experience. MaryAnn Kohl has written some of my favorite art books for children. I found Great American Artists for kids extremely helpful when I taught a coop class on American art; it’s equally as wonderful for at-home lessons. In this book, Kohl and Solga introduce us to 75 American artists from the early days of the U.S. through present-day. In brief but fascinating two-page spreads, we meet the artists, see some examples of his or her work, then are given directions for a project in each artist’s style. It is a very exciting and colorful book and is appropriate for ages 4-12; but projects can definitely be adapted for older children. Great American Artists for kids would be a wonderful complement to American history lessons, as its artist lessons are divided historically. But if you’re not studying American history at the moment, I’d still recommend it! It’s a very simple and easy way to add art to your lesson plans each week. Just pick it up, gather a few supplies, and you’re ready to go! Schwake’s wonderful book includes 52 different art projects. She carefully defines art terminology, explains what different media and materials are, and then provides creative ways to use them. Students will learn drawing skills; various types of painting; printmaking; using paper to create art; and (one of my personal favorites) mixed media art. And even though the title suggests that this book is for kids, Schwake tells us that it’s really for “budding artists of all ages”! In this book, you’ll find directions for handmade banners, books, masks, quilts, pillows---and many more! In closing, I only have one recommendation for you. Whether you think that you are a creative person—an artist—or not….create! There is nothing like sitting down with your child and creating, whether you’re doing one project together or you each have your own. Some of our most wonderful conversations have happened when we were creating together. And, we’ve made not only treasured projects but wonderful memories! You can find these excellent books at your local library or at Amazon. Wren is a former Texas girl who now lives in the western U.S. She and her husband were blessed with one son, and they’ve homeschooled all his life. She and her sister Finch blog together at http://finchnwren.com/. Isn't it neat that bloggers can help out bloggers? Here's a post from Kemi, isn't she sweet to help me out? Using a blackout to teach History. As a small child we lived overseas where blackouts and lack of drinkable water were just regular parts of every day. That was over 30 years ago and a "no big deal", in my bank of childhood memories. Just recently my daughter experienced her first blackout in our usually mild Northwest weather. We had high winds, downed trees, and blackouts all throughout the city. Our weather is usually not too extreme one way or another. Except for all the rain. We get a lot of that but we're used to it. So it's no surprise that we tend to get really relaxed about being prepared for inclement weather and things my take us unawares. As a child my mother was always overly prepared because these things came so often. We had tons of candle and matches. A little burner to heat things on. We kept lots of dried foods and we also kept our bathtub filled with water because water shortages were just as common. We took baths with buckets of water that had been heated on the stove. Blackouts were no big deal for me but for my daughter it was a nerve wracking event. Everything was dark as it happened at night and there was not a light in the sky! She’s heard of blackouts, read about them, and seen them on the news but she had never experienced one. She was nervous, scared, and excited all in one. To help her relax a little bit about the ordeal I didn't choose to discuss blackouts themselves but instead, as I lit candles and rummaged in the pantry for edibles, I figured it was the perfect time to talk about one of her favorite time periods. Now although my cellphone was working I pretended it didn't as I began to talk about what life might have been like back in the day before electricity was common place. I talked about how there was no thermostat to adjust for a more comfortable living room. How a hearth or a fire would be the heat to heat a home. And you had to be careful with fire just as you have to be today. How candles and oil lamps would be used for light at night. Most windows did not come with glass as the pioneers were just getting settled. Instead they put up grease paper to let a smidgen of light through. As you can imagine the insides of cabins were pretty dark. We talked about what the pioneers might do in the evenings with so little light. Since we had limited light we knew that reading was difficult or maybe if a family member could read they would read aloud to the rest of the family member. We talked about how food was not as plentiful and as varied as we have today. No sir! You ate what didn’t spoil and what you were able to grow, catch, and preserve. Food was cooked over a fireplace and the fire was lit from a coal or by “borrowing” some fire from a neighbor. Matches were not known back then. Kemi Quinn is a wife, mother, church musician, and amateur cook. She loves to read about how women kept home in time’s past (aka Vintage Homemaking). 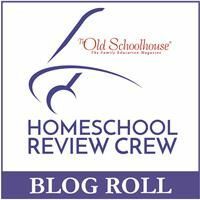 She blogs over at Homemaking Organized﻿﻿. A long, long time ago, before the world-wide web, when cameras still used film, when travelers didn’t need passports in North America, and when merchants still readily accepted Traveler’s Cheques, my parents took our family of four on a two week trip to Canada. My parents got travel guides from AAA, and mailed away requesting brochures from many places I had never heard of. My Mom packed an activity bag for me, and one for my brother, with crayons, coloring books, and a travel pillow. There were evening discussions around maps, and talk of ferries. I was only about seven, so most of the pre-trip activity was a mystery to me. Though it was decades ago, many memories still remain from that trip. My parents took us to all sorts of places, both big and small. We took my Dad’s little car, and sometimes he would even let Mom drive . . . that let us kids know we were going to be gone for a LONG time. I remember telling my Mom that I would take a nap on our trip. We visited so many interesting places, many of which I can now look up on the web. Yet nothing on those websites can replicate the wonder of leaving the Midwestern cornfields and traveling through such a vast area that was so very different than home. We visited Casa Loma in Ontario, Chateau de Frontenac in Quebec, and Saint John, New Brunswick where we witnessed the reversing rapids (and ate lobster-yuk!) We traveled through Nova Scotia, and drove the Cabot Trail on Cape Breton Island. The second quite memorable ferry ride was to Newfoundland. Nine hours there, and nine hours back. On the way we learned that reclining chairs are not as comfy as a bed, and that both my brother and I could be seasick in choppy waves. I remember getting an orange from the cafeteria on the ferry. I remember seeing great cliffs turned on their sides, with stripes going almost vertically, and my parents talking to us about how that probably happened during Noah’s flood. I remember wondering why my Mom was driving 63, until I learned that it was kph instead of mph. There are other memories that lurk in the recesses of my brain from that trip. Ontario was a big, yet old city. The Chateau de Frontenac was too big in my small world to be a hotel, surely you would get lost inside. The manager at the Dairy Queen in Quebec City was the only person there who spoke English . . . and that not fluently. I remember the first (and only) time my Mom let me throw away food. We were eating breakfast at a little Mom and Pop store connected to a gas station, and the French lady cooking simply could not understand that I needed my fried eggs cooked all the way through. To her, over-easy was “cooked.” I ate the white, the yellow soup went into the trash can when Dad was busy putting gas in the car. I remember sleeping upstairs in a house that was the tiniest bed and breakfast (2 extra bedrooms.) My parents so enjoyed our hosts that they exchanged Christmas cards for years and years afterward. I remember the sense of wonder at the hills and mountains, and at the vastness of the might St. Lawrence river. My parents saved for a long time to take us on that trip. Yet, it’s not the money they spent that makes it so memorable, even more than 30 years later. The memories come from the time they spent with my brother and I, and the planning they did in advance so everyone could enjoy our vacation. There were big places to visit, and little side stops along the way so we wouldn’t get too bored, or too stiff, from riding in the car. There was the day that it drizzled, yet we still stopped at this village of miniature houses. Somewhere there is picture of my brother and I in our yellow raincoats, looking at Anne Hathaway’s house, or standing inside the miniature castle wall. There were pretend stocks there too. When I grew older and read about Puritan New England, I had an idea of just how awful it would have been to be placed in the stocks and have rotten vegetables thrown in your face. That family vacation taught me a lot about parenting. The memories have guided me when we plan our own vacations with our girls. So what were some of the valuable lessons I learned? Plan ahead, get maps, choose attractions with a wide range of interesting activities, take snacks, find a laundromat along the way, take pictures, and slow down and enjoy your children and each day you have been given. I learned that Mom and Pop places usually have the best food (if you speak the same language,) and that one black and white picture taken on a camera borrowed from your Mom can bring back a flood of memories. My parents taught us that experiences are more valuable than things, and that family memories can last a lifetime. You can go far away, or stay close to home, and still make memories. Some day, I would love to take another trip to Canada and make memories to share with my husband and daughters. What about you, what memories do you treasure from your childhood that help you in parenting your own children? Whether you step out into your backyard, or travel thousands of miles away to make those memories, cherish each day. Carol and her husband Kurt are forty-somethings who raise their two teenaged daughters in Indiana, USA. 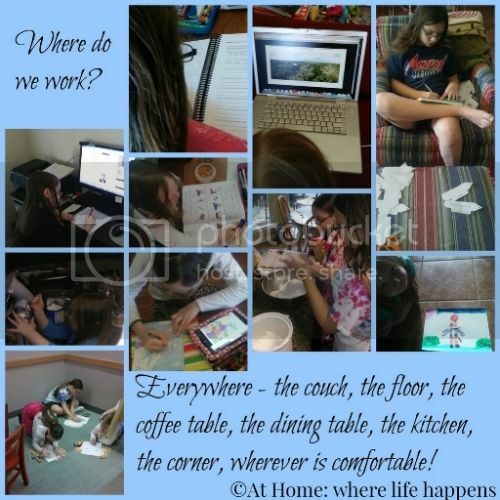 Family memories are often shared on their blog: Home Sweet Life. As the holidays approach, I begin to hear the question over and over again. "When are we going to take off school for Christmas?" In my mind I'm weighing the options. Do I plug along trying to finish our required number of days sooner and have more summer time off? Or do we take time off now when the kids- and I- am tired and need a break. Over the years of homeschooling, I've learned to do a little of both. We usually continue to doing learning things (that can count as "official" school days), but we break from our regular structure and bring in some fun things. Of course we do take some time fully off- mainly when Daddy is home to have fun with us. But we also do some fun learning things that help to bring a little structure and learning to our days but still allow us to celebrate the season. Christmas is a wonderful time to do unit studies. You can study countries and culture with a Christmas Around the World themed unit. You can study literature by doing a unit study or lapbook with a Christmas book. You can study weather by looking at the weather in different locations at Christmas time. All of these can be fun and holiday themed, but you're still learning. There are many free unit studies available all around the web. A good place to start is Homeschool Share. Crafting seems like a fun activity but isn't often thought of as educational. However, there are quite a few learning tasks that happen while creating crafts. Learning measurements as you prepare materials, reading directions, critical thinking when something doesn't seem to be working, learning how different materials react with each other- all of these are educational components of making crafts. If you google "Christmas crafts for kids" you'll find many ideas. Here are a few to get you started. Christmas is a great time to give your child time for writing. Have your child write a creative story about a family Christmas celebration or what the "perfect" holiday would be. Have him write a persuasive essay about why he should get that one thing he really, really wants. How about doing some research on several charities that could be helped throughout the season and writing a paragraph about what each one does. Many charities or mission organizations need help throughout the holidays. From making meals to wrapping gifts, there are usually many things to be done throughout the holiday season. Consider your child's age and pick a charity that you can help. A service project can have educational benefits, but there are also spiritual benefits as kids learn the importance of serving others and reflect on the real meaning of the season. 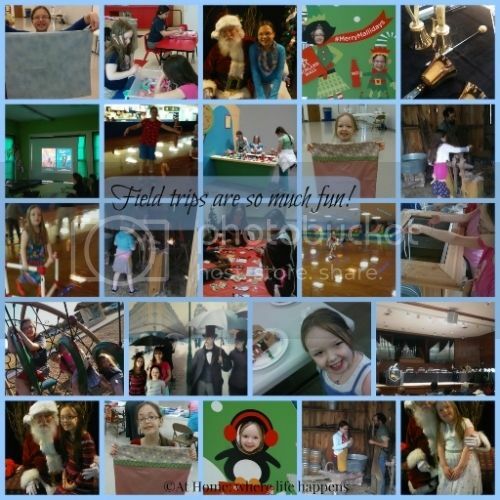 It's possible to keep doing a little "school" throughout the holiday season while still having a break and a lot of fun.